Mary Ann (?) married George Edward Houghton, son of John Houghton and Lillie Mufford, in circa 1902 age 22 and 21; mar 8 y in 1910 census. Margaret Amanda Dennison married Edwin D. Houghton, son of David Houghton and Mary Harderburgh, in Nov 7, 1904 age 26 and 26. Mary C. (?) married George S. Houghton, son of James C. Houghton and Emma (? ), in circa 1893 age 26 and 24; mar 7 years in 1900 census. Hannah Wickham married David Henry Houghton, son of David D. Houghton and Sophia J. (?). Henry David Houghton married Maud (?) age 26. Vivian E. Houghton married Allan H. Cooper. Effie (?) married Morris Theron Houghton, son of Eli Houghton and Nancy E. (? ), in circa 1907 age 29 and 24. Lee Houghton married Lulu M. Van Epps in circa 1911 age 19 and 17. Lulu M. Van Epps married Lee Houghton, son of Daniel Houghton and Adelia (? ), in circa 1911 age 19 and 17. 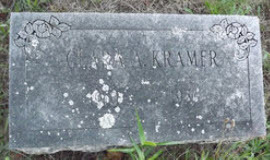 Clara A. Houghton married (?) Kramer. 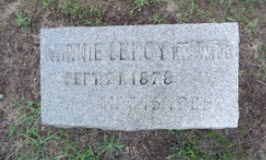 Minnie LeRoy married Robert Houghton, son of David Houghton and Catherine Louise (? ), in circa 1897 age 18; mar 3 years in 1900 census. Minnie LeRoy married Thomas A. Turner at NY, USA, age 23 and 18 at first marriages. Robert Houghton married Ida M. Ostrom. Robert Houghton married Minnie LeRoy in circa 1897 age 18; mar 3 years in 1900 census. Virginia T. (?) 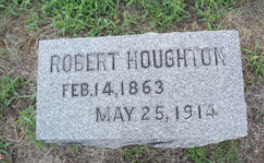 married Smith Houghton, son of David Houghton and Mary Harderburgh, age 31 and 18 at first mar. 1930 Census 1930 Schenectady, Schenectady Co., NY, USA, age 38, industrial dept. Florence H. Lillis married Stephen Henry Houghton, son of Edmund Willington Houghton and Hattie O. King, in circa 1911 age 19 and 17. S. Willis Houghton married Edna Lindstead. S. Willis Houghton married Rena M. Ahnert in Jul 22, 1967. Duane K. Houghton married June Graham. Eva M. (?) married Raymond W. Houghton, son of C. Wesley Houghton and Caroline (? ), in circa 1928 age 27 and 20. Florence M. (?) married Irving Stephen Houghton, son of George Bruce Houghton and Dora E. Brown, in circa 1919 age 37 and 28. Elizabeth J. Houghton married (?) McHale. Clarence Houghton married Gladys (?) in circa 1921 age 49 and 31.